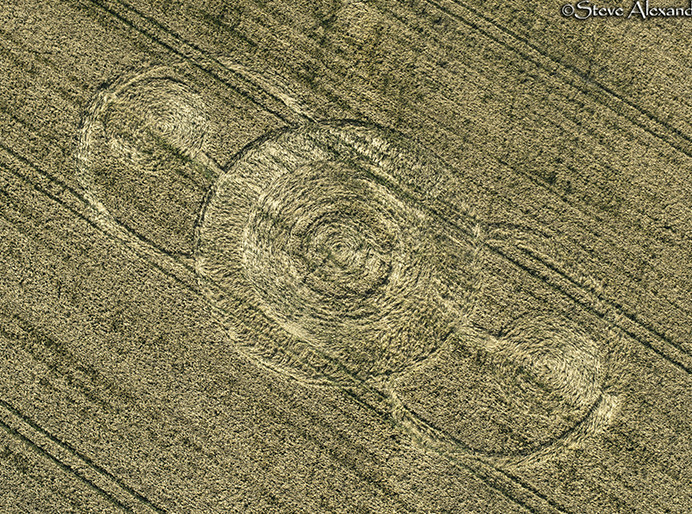 Late Circle near Warminster, Wilts. We have been in the air to record some late season formations. 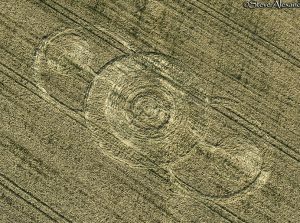 Unfortunately, a circle at Monarch’s Way had already been harvested, but we did get images of an intriguing circle near Cley Hill, Warminster.